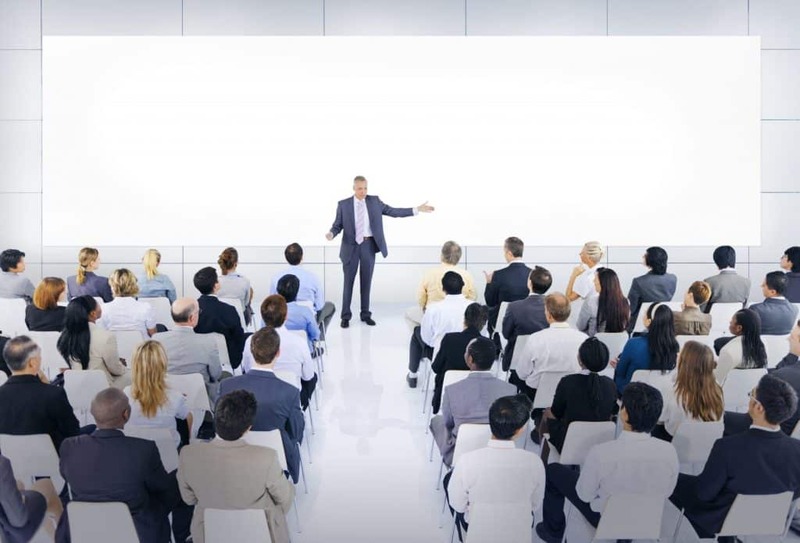 As a leader, every talk or presentation you give is an exercise in persuasion. By the time you finish, you hope that your audience will agree, feel differently, or take action. You also need to persuade people to pay attention while you’re speaking. After all, you can’t communicate effectively unless they are listening. Persuasive communication is especially important for those who lead. Having a vision is just one part of a leader’s role. Communicating it in way that galvanises people to act is the other part. And getting action is harder than setting vision. Successful leaders persuade people. They persuade people to change, to work together and to strive for ambitious goals. They do this by using three persuasive appeals: credibility, reasoning and emotion. These appeals transcend time and geography – they originate from the work of Greek philosopher Aristotle, who named them Logos, Ethos and Pathos. By using the each of these three appeals, you can become much more persuasive communicator and a better leader. Aligned with your audience’s interests? Only if your audience sees you as credible and see that you have shared interests will they listen to your arguments. Credibility forms the four wheels upon which the body and engine of your argument sit. Without establishing trust and rapport, the following two appeals lose their power to move your audience. Make your points in a sequence so they form logical stepping stones to the riverbank of your conclusion. Each step should feel reasonable and necessary in order to reach the other side. If your audience bounds across those steps and comes to the conclusion slightly before you, that is great. Their anticipation will make your final words feel satisfying and inevitable. Each step should be founded on evidence. This could be through data, a case study or a testimonial: bait your hook with whatever will resonate most with the audience in front of you. The last but most powerful appeal is stirring the emotions of your audience. You see emotion used in charitable marketing communications everywhere, because they work. Emotional appeals provoke action by aiming for the heart. What can you say to make your audience care about your topic in an emotional way? One of our clients, John*, was the MD of a large utility company. He approached us to help him improve his public speaking. John had avoided speaking in public, but now he had to deliver a presentation on health and safety to hundreds of staff. That’s a dull topic at the best of times and, to make matters worse, his presentation had been prepared for him by the HR team. It was pretty dry. John knew how to communicate well and so he binned the HR presentation. Instead, he started his piece with a story. He said, “I once managed building sites. In my first two weeks of a new job, we had a crane collapse on site. “That night, I had to knock on the door of a house and tell a woman that her husband was dead because of an accident on my site. John combined his credibility (previous experience of health and safety issues) with emotion (the image of John telling a woman that her husband had died) and reasoning (I’m talking about health and safety to stop you ever having to go through something similar) in a short, powerful story. Benjamin Ball Associates will ensure your talks and presentations are as powerful and persuasive as possible. We work with you on all aspects of your talk: your messages, your structure through to your delivery and body language. Our team has helped hundreds of CEOs and senior executives to deliver confidently impressive talks and presentations. We can transform your presentations in as little as half a day. We come to your office and work 1:1 or in small groups. Call Louise on 020 7193 0130 or email louise@nullbenjaminball.com to find out more. Download your free ebook to learn our 5-step process for transforming dull, forgettable and un-engaging presentations into your most Powerful Presentations yet: inspirational, memorable and persuasive. • Increased confidence when you talk and present. • Improved ability to persuade your audience. • Greater engagement with your audience. • Practical ways to plan and structure your talks. • The inspiration and motivation to change. Download your free copy of our Five Steps to Improve your Leadership Talks ebook now. How well do you answer difficult investor questions? What do LPs want from your private equity pitch book? Review our top coaching, advice and training programmes. All these are in-house programmes. (Not ‘open’ courses.) and can be run as 1:1 or small group training in-house.